A £35 million funding to boost the uptake of ultra-low emission cars and scooters has been announced by the government. 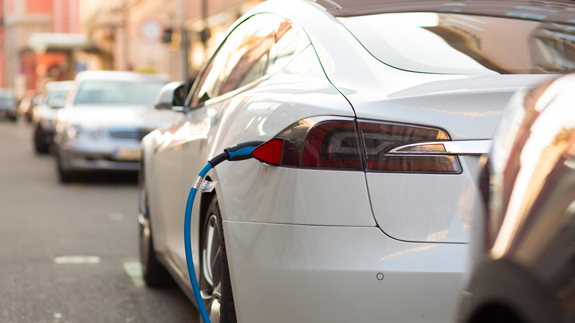 The money from the Department for Transport will provide around £30 million to help councils install charging points on streets and workplaces for EVs, including ultra-low emission taxis. It also includes a £3.75 million scheme to encourage the uptake of zero-emission motorcycles and scooters and £2 million to public and private sector organisations to deploy hydrogen fuel cell vehicles. According to the government, the number of new ultra low emission vehicles has increased by 250% in two years. The announcement comes as Defra launched a consultation on how best to introduce Clean Air Zones in Birmingham, Leeds, Nottingham, Derby and Southampton by 2020. Transport Minister John Hayes said: “No matter what mode of transport you need – a scooter to get to work, a car or a van to run your business – we are here to help you do it with zero emissions. New clean technologies will be among the topics discussed at Energy Live 2016. Get your tickets here. There are limited free tickets available for energy end users and university students.